WOW! Great job on this one, the graphics were well done, I really liked that bgm music (reminded me of Pocket Tanks, which had some dope tunes!) The controls are outta this world! I haven't ever really seen a game that controls quite like this one and I must say it works incredibly well! 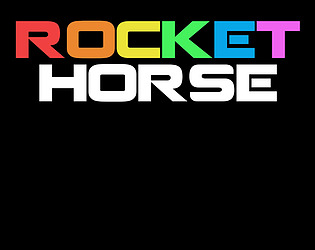 I really enjoyed figuring out how to manuvear the rocket horse around. Overall, it is a lot of fun and is a nice challenge, well polished- excellent job!! Yeah @randomph escape will put it in and out of full screen mode. Should have a noted that here. It is a little difficult because it's all random. And mastering controls is not easy either. Great game with fantastic controls! Just needs a full screen mode as I keep clicking outside unintentionally. Some balancing too like the rockets need to explode when hitting the ground not appear out of the blue. 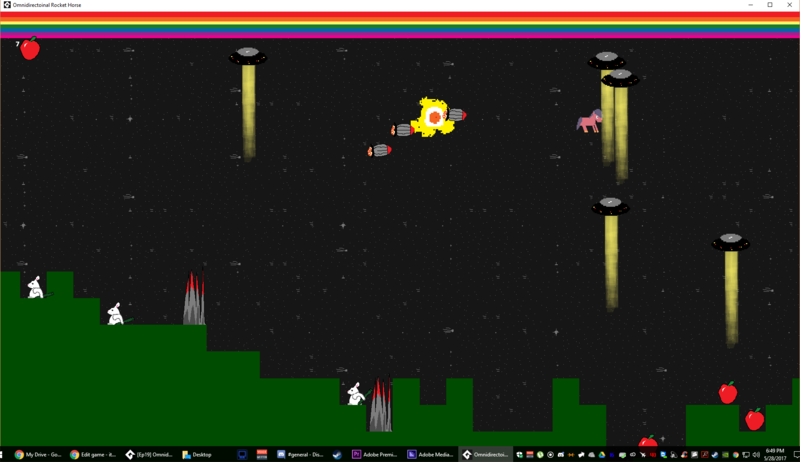 The ufos are overpowered :/ just one has an effective range of about a third of the airspace. This was quite enjoyable. The way you have to use the mouse to move the opposite direction is great and a bit difficult on a track-pad. 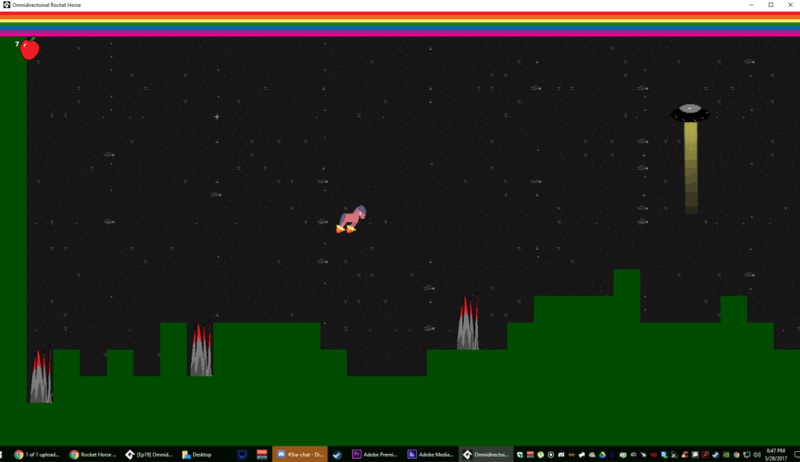 I made it to level two but when there are 4 rockets chasing you down I was defeated easily. I will be playing this later with an actual mouse. Great game, well done!